Measuring page views doesn’t always measure the right engagement. But with the Scroll Logging App you can find out exactly how everyone is engaging in your content. To activate scroll logging go to Apps and activate. Enter the URLs for the pages that you want to measure. 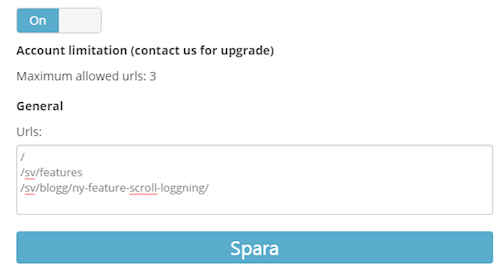 Please wait for up to 30 minutes before activation and changes to Scroll Logging is active on your website.